Discovering Switzerland by train, bus and boat. Here are five reasons why Switzerland is best explored by train, bus and boat. Find inspirational stories about Switzerland’s public transportation. Find out more about the most comprehensive public transport app for Switzerland. The latest news about public transportation in Switzerland. The Grand Train Tour of Switzerland. Whether fascinating panoramic lines or relaxed boat cruises: Switzerland by train, bus and boat is always a wonderful experience. This conviction is also at the heart of the Grand Train Tour of Switzerland. 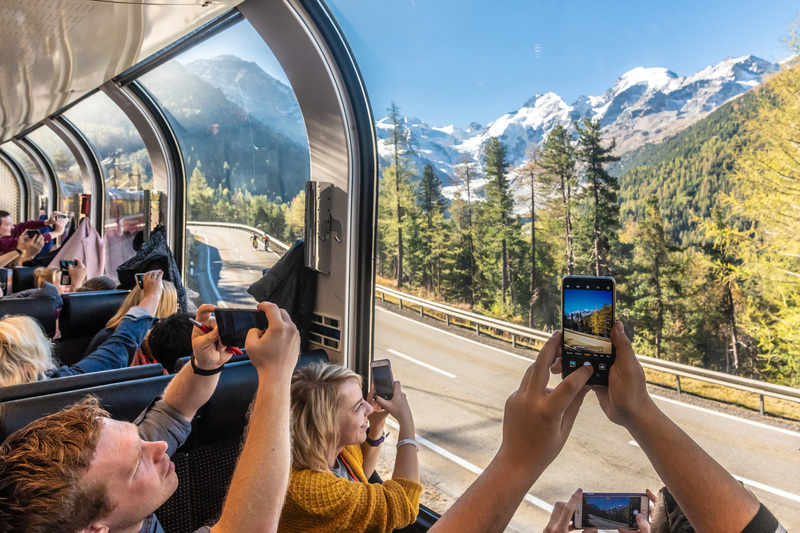 On this tour of roughly 1,280 kilometres, panoramic trains take guests to all the highlights and sights Switzerland has to offer. Getting in, leaning back and enjoying – whenever and wherever. The entire tour can be experienced with only one single ticket – the Swiss Travel Pass. The Swiss Travel Guide app. 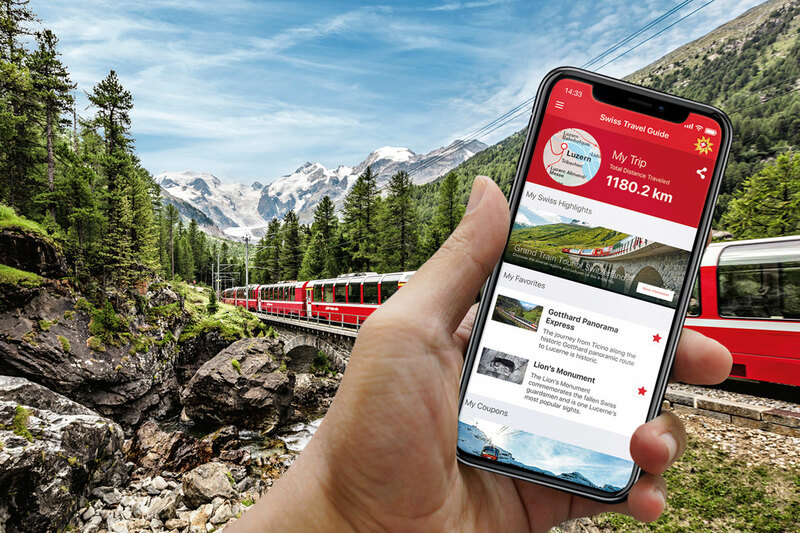 The Swiss Travel Guide is the ideal public transport app for tourists and the essential companion for travels by train, bus and boat throughout Switzerland. Thanks to this app, any journey through Switzerland can now be planned to perfection, and the visitor never misses a highlight.